There are lots of important factors affecting the sales in your store such as reputation, speed, service, insurance, live rate, etc. How to boost the sales dramatically with the least difficulties? An effective way we recommend for you is understanding customers’ shopping preferences and then providing them the most attractive offers and services which catch their impressions from the first sight. Putting up your own online business entails a lot of hard work. During the starting period, aside from the fun and exciting portion of designing your website and even before you begin spreading reputation on social media, you’ll need to face the not-so-interesting task of choosing a shipping carrier. Shipping is often the first indication of a service quality. It doesn’t matter how useful your website is and the depth of information it provides. If the customer doesn’t get the product fast, they will consider your service as poor. 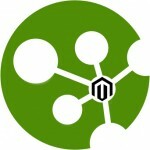 One of the best shipping extensions from Landofcoder is Magento 2 Shipping Per Product. 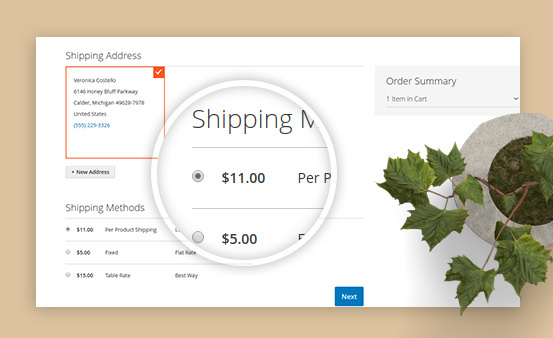 With this plugin, you no longer have to be worry about incorrect shipping rates for each product in your store. 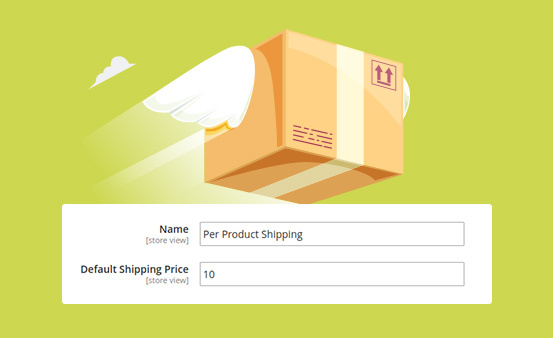 It helps you set individual flat shipping rate for each product from heavy, light to fragile items. 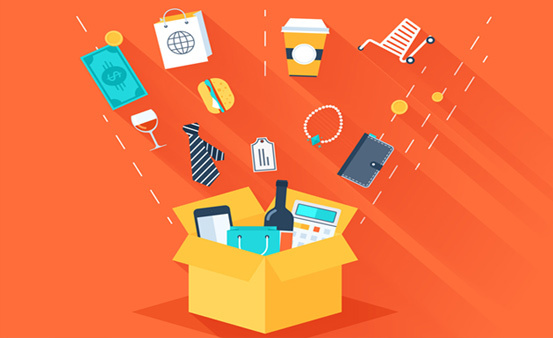 If your store has a lot of special products such as fragile, precious or bulky items and you don’t want them to have any unintended incidents during shipping along with other products. We provide you the best tool for you to set the shipping for separated item with flexible price setting depending on their characteristics. So using Shipping Per Product can assure the item’s quality. For each product, you can easily consider their weight, height & characteristics to set the most suitable shipping charge for them. And also, if you want to change, only need to replace the old charge by the new one. 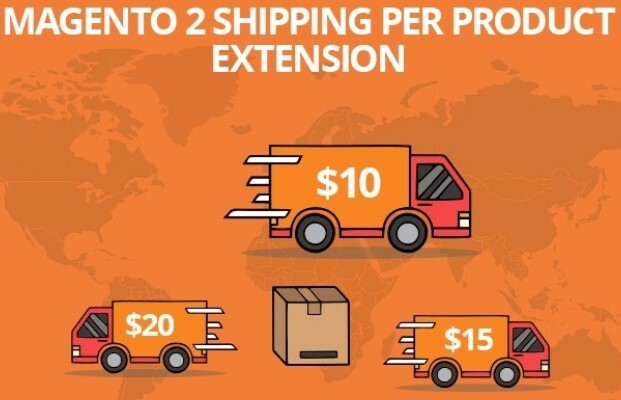 If you have set the price for any type of shipping methods like Shipping Per Product, and then the extension will automatically use that default setting as soon as customer choose shipping method. 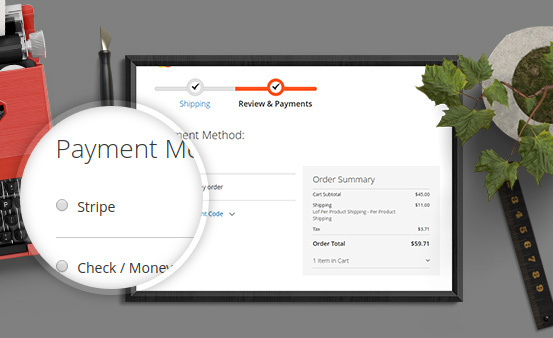 The default price is always enclosed with the shipping function. 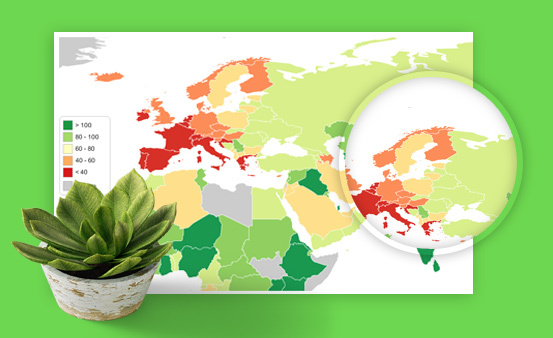 It is easy for you to set different shipping price per product to various countries which bases on the distance of shipping like near or far. 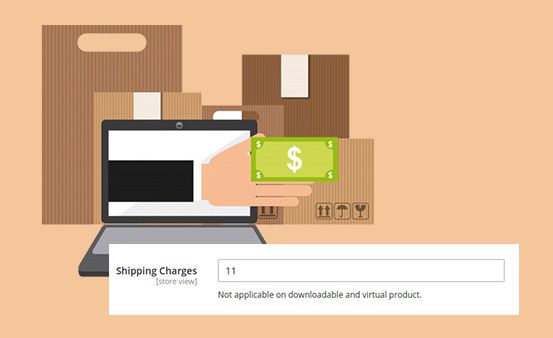 After customers order and choose the shipping method and its price will appear so customers can consider which is the most convenient for them. 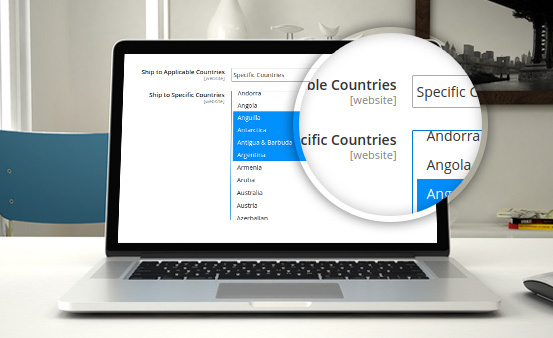 By default, this extension let you select states/provinces for the chosen country to set for shipping per product. However, this option is not available for all countries (including such popular shipping destinations as Italy or the Netherlands). So sometimes, customers have to manually enter regions when placing an order if having no suggestions for their countries. Offer customers a range of shipping options to choose from. 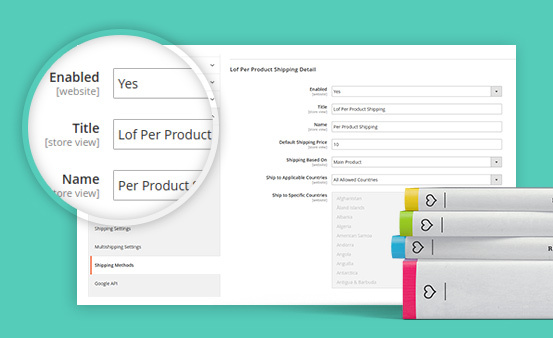 Create an unlimited amount of shipping methods aligned with your shipping strategy. 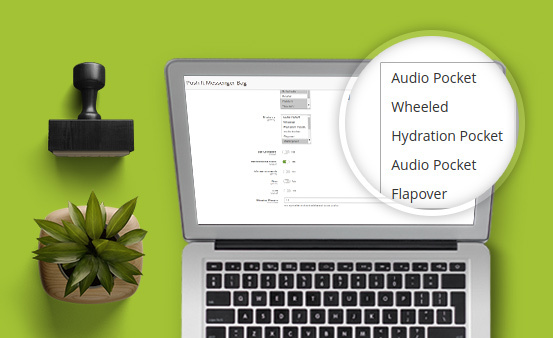 So, it is easy for you to enable/disable the Shipping Per Product function in the backend. 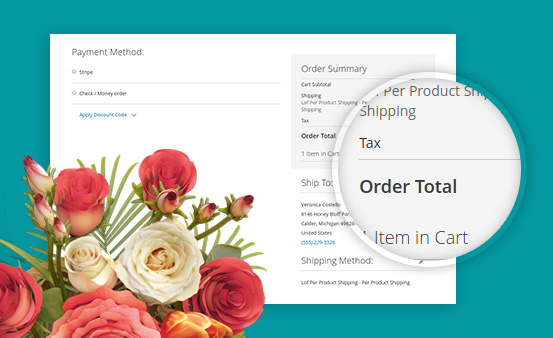 In the checkout page, especially in the Order Summary, it is convenient for customer to see the estimated cost for all total items including the shipping per product fee. They can compare and consider what is the best choice for them to fit with their budget. 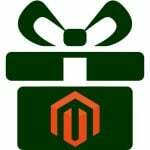 Magento 2 Shipping Per Product let customers insert their exact & most detailed address that they want you to ship products to. Moreover, it also can help you ship products to multiple addresses by clicking “Add new address” and then typing the address. 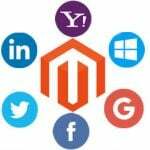 Magento 2 Shipping Per Product support optimized payment methods that You can offer for customers lots of suggestions. Customers can choose any suitable methods for them and keep tracks on that. 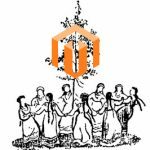 Owing a number of powerful functions above, it is assured that Magento 2 Shipping Per Product from Landofcoder can meet almost all requirements from customers when they’d like to choose the most careful shipping service for their valuable products.